To utilize every technology reasonably available to make Pulaski County the best assessed county in Arkansas. “Best Assessed” means that all assessments will be the most equitable and each contact with the public will be professional and courteous. Assessor Team Members will find satisfaction and enthusiasm in their work through opportunities to develop their skill and education to keep pace with growing technologies. The Assessor and her staff are here to serve you by determining market value and performing maintenance on over 170,000 taxable real property accounts and more than 160,000 business and personal property accounts. "I just want to take a minute to say “Well done!” Anytime we have contacted your office everyone is helpful and polite. Your website is very user friendly and efficient!" -Bethany D. "It's a pleasure dealing with professionals." -Kathy J "says that the tools we have online (property lookup, the maps, etc) are very helpful and our office is great." -anonymous phone call "Best governmental agency in all respects I have ever dealt with." -William C. "I would not have expected such personal attention from a large and busy government agency." -Carolyn M "she is a solid gold employee." -Anthony C "(she) had a wonderful and refreshing attitude." -Reginald F "you handled my problem quickly, efficiently, professionally and pleasantly!" -Charles B "your work was exemplary and you were a tremendous help." -Casey A "She gave a 5 star performance!" -Jim S "Your office got back to me almost instantly with very helpful information!" -Gene P "You were wonderful and really helped me understand the Homestead process!" -Jane F "I was mad and confused when I called but after talking with your staff I understood my assessment and the process which made me feel relieved when we hung up." -Bill I "They were very kind and took the time to explain the appraisal process." -Pat C "I've never met a nicer, more knowledgable group of employees." 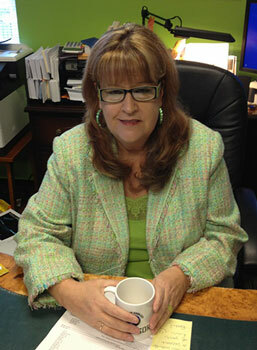 -Patricia G "It was a delight to work with your office!" -Felicia W "I have never been treated so well by a government office!" -Audrey J "They were very patient and concerned." -Lynn H "They made a negative situation a positive experience and were very professional!" -Charles H "You really explained everything well and helped me understand the process!" -Jerry S "I have never been treated so kindly in any kind of government office." -Valarie G "I can’t begin to tell you how easy she made the process for me...I believe she is a valuable asset to the Assessor’s Office and wanted to extend my appreciation for her help." -Matt T. "I would like to compliment your office for selecting quality people to work with those of us unsure of the duties that are sometimes cast upon us at unexpected times..." -Suzanne M "The lady that helped me was very friendly and efficient. I wish I had gotten her name to tell you. Keep up the good work." -Tim L. "........so pleased to speak to people in government that really cared and helped." -anonymous phone call "You put me with a competent and cooperative man today and I really appreciate it. He was very fair and nice to deal with." -Gene P "All I can say is WOW! My inquiry was promptly and courteously handled...Both employees are wonderful representatives of the quality of your office and Arkansas." -Carole A "In my research to familiarize myself with your local market I called your office this morning. I just wanted to let you know how much I appreciate the friendly and very competent service I received." -Vicky T. "It was the most pleasant experience I’ve ever had in dealing with a state agency. Kudos to you and your staff for running an efficient and customer friendly agency." -Carolyn J. "I just have to email and let you know how friendly and efficient your staff is. . I just thought I’d pass it on for you to hear from one of the “public”." -Joan R. "Your staff are the nicest people that I have ever talked to in government. You have my vote! Keep up the good work." -Herbert M. "They were very professional and friendly and made it so much easier than I expected. Hats off to y'all! Good customer service!" -Julie B. "It is not often that I talk to an individual on the telephone and get the type of Customer service she provided." -Alfred B. "I was so pleased with his attitude and efficiency. I left a very pleased person." -Lee S.
Beginning January 2, 2019, you may assess your individual and business personal property. You may assess in person at any revenue office in Pulaski County, by phone at 501-340-6170, or at the link below. We will be closed January 1, 2019 in observance New Year’s Day. May you all have a healthy and prosperous New Year. All personal property assessments must be received by May 31, 2019 to avoid late file penalties. Check out our mapping links. We've partnered with PAGIS (Pulaski Area Geographic Information Systems) to bring you data updated weekly. There is more data available than ever before and lookups are easier than ever. Assess both your personal and business property online, and save your self a trip to our office. We've put all of Pulaski County's real estate records online so that you can see what we have on record. Need to know information on a specific parcel in Pulaski County? Try our new & improved online mapping system. We have eight locations to better help you assess your property and get on with your day.